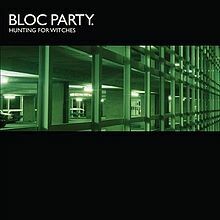 (Bloc Party) Where Is Home? Album "A Weekend in the City"
Una canzone che Kele Okereke scrisse dopo gli attentati a Londra nel 2005. Su come i media abbiano alimentato la sofferenza e la paura della gente e su come la paura sia un metodo di controllo delle masse. "The 30 bus in Hackney, which is just around the corner from where I live, was blown up. [That song was] written when I was just observing the reactions of the mainstream press in [the United Kingdom] and I was just amazed at how easy it'd been to whip them up into a fury," he notes. "I guess the point about the song for me is post-September 11th, the media has really traded on fear and the use of fear in controlling people."